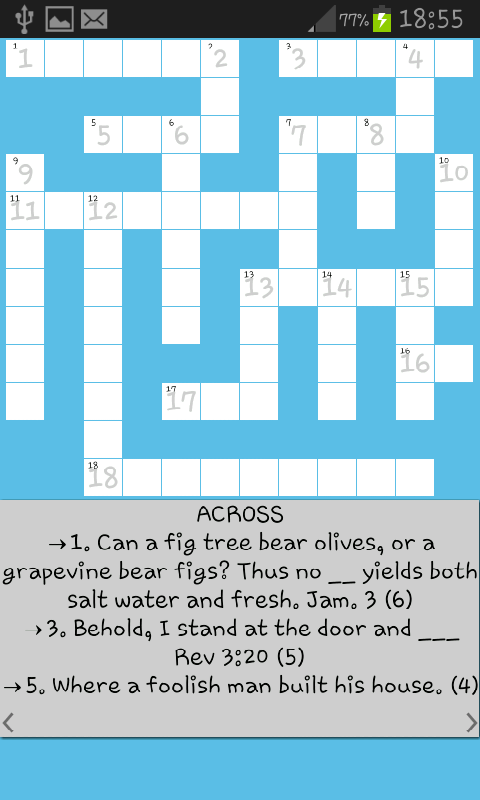 Your favourite Bible Crossword on Google Play Store. Get it for free. Another exciting and challenging game on Google Play Store. Get it for free. Yet another exciting puzzle game on Play Store. In this game your challenge is to find as many words as you can before time runs out. Get it for free. In this beautiful app you test your memory while you get refreshed with Biblical knowledge. Get it for free. Different exciting puzzles packed in one app on Play Store. Get it for free.